Last night I got home from work and the yard smelled like fermenting hay. 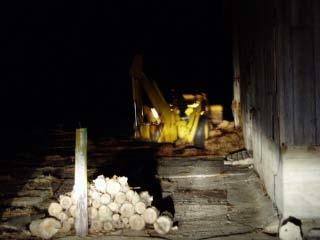 So we decided at midnight it would be best to move the two giant piles of very hot and steamy hay away from the barn. And keep that husband off the floor of that barn!! Scary!